It was founded 2009 by the two sisters Lélia and Thélissa. We are sure that everybody knows their dreamy “Lit Maison”; a very poetical draft of a bed for children. This bed makes your child really feel at “home” and sheltered while sleeping or dreaming. We wrote to Thélissa and asked her some questions about their style and label. 1. When do you start with bonnesoeurs and whats the idea behind your studio? We are two sisters and we had a very strong desire to work together. That is why we created bonnesoeurs (meaning « good sisters » as well as « nuns ») in 2009. The idea that we find ourselves around our common passion for interior design, was not a surprise for anyone. In contrast, the fact that we were living 500 km from each other seemed impossible for many people (our clients have great difficulty believing). Indeed, Lelia was living in Paris whereas I was living the Province and we had absolutely no possibility of moving to get closer. Despite this distance, we always worked together on each project (Thank Skype!). 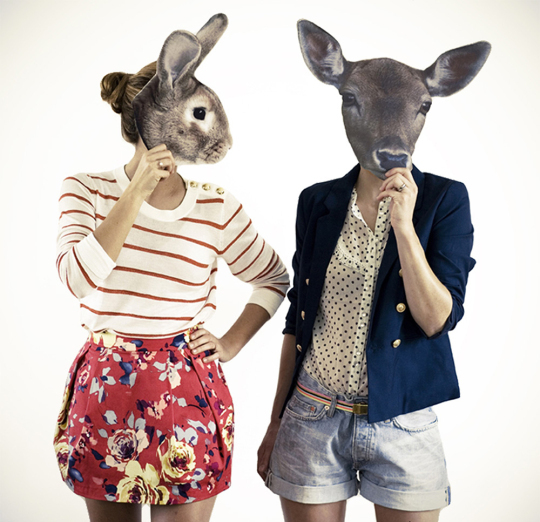 We believe bonnesoeurs is the fruit of our two complementary and accomplices personalities. It will soon be 7 years that we work together with still love and fun! Concerning design and photography, these areas of work have always been part of everyday life, but it is only a few months ago we decided to share by proposing the « Lit Maison » and « Anti-portraits ». 2. 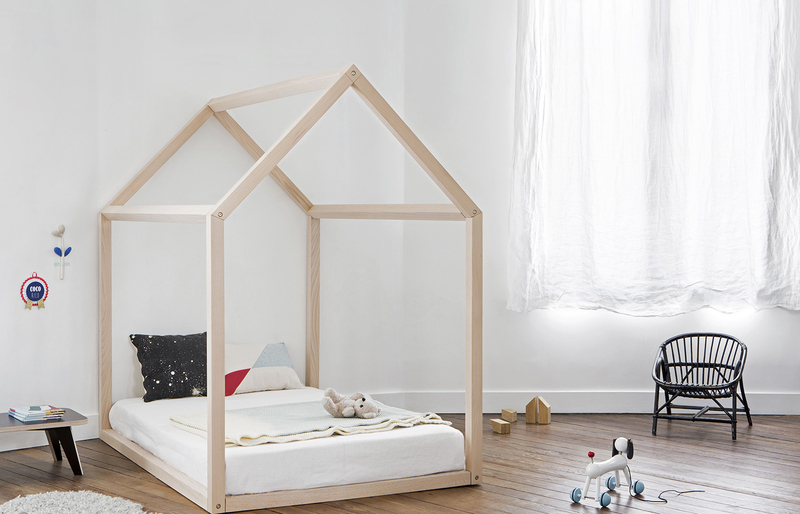 Do you draw your ideas from your daily life with kids and where do you get the idea for your « Lit Maison »? Of course, our daily life inspires us a lot. I designed the « House Bed » for my eldest son in 2012 because I did not find a bed that suits us. When he was a baby, I could never bring myself to make him sleep in a crib so when he grew up I decided to create a wide open floor bed. In his « House bed » my son could enter and exit freely and without endangering himself. On the other hand, I thought junior beds were too narrow (often 70 cm) and at home we like to settle down comfortably with to tell the story of the night. The house shape is reassuring and permit to resize the sleeping area like a cocoon. 3. 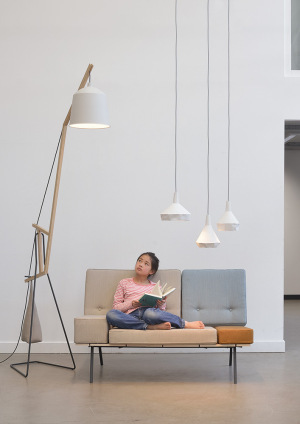 Is there something else for kids, that you would love to design? The world of children has always stimulated us, even more since we have children. 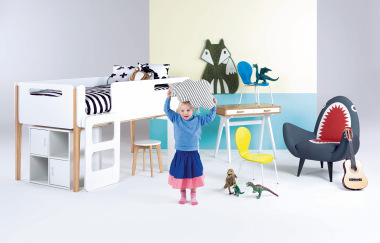 There is a lot of things we’d like to design for them : A little cute and functional wardrobe, practical and accessible storage space for toys and why not bed linen or a poster! The only thing we need is time! 4. What are your next plans? 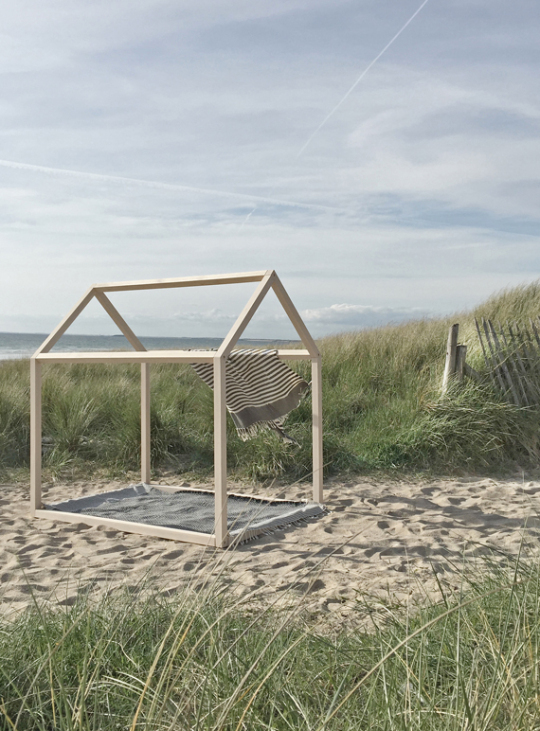 In the near future, we have beautiful interior design projects to finish before summer and we would like to manufacture some Little « House Bed » for dolls. In a more distant future, we dream of buying an old manor to raise our two families in the forest of Brocéliande, where we were born. We are more than sure, that these incredible sisters will show us some more wonderful designs soon! Blueroom, design led by care!